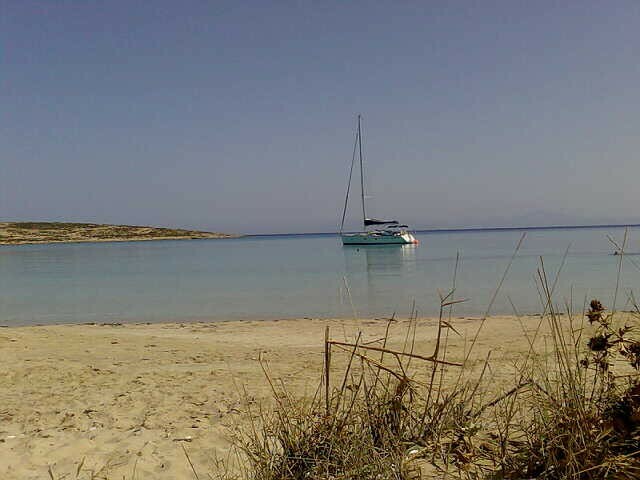 Holiday.gr - KOUFONISIA, a trip to a myth! Been to KOUFONISIA ? Share your experiences! 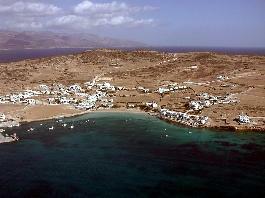 Koufonisia are two small neighbour islands that belong to the complex of Small East Cyclades. It is Kato Koufonisi and Epano Koufonisi, southeast of Naxos and west of Amorgos. They are separated by a narrow strait of 200m width. These islands are inhabited since prehistoric times. Excavations brought into light findings from Cycladic Civilization. Koufonisia were the refuge and base of pirates. Kato Koufonisi has an extend of 4,3sq.km and it’s almost uninhabited. You will see only some rural houses, while in its small graphic port anchor only fish boats and tourist boats. It has beautiful isolated shores preferred by nudists. The only sightseeing in the island is the small church of Panagia built on the sea wall, over ancient remains. Epano Koufonisi is the smallest and densely populated island in Cyclades islands. It has an extend of 3,5sq.km and 285 residents. Koufonisi as locals call it is a true fish village. All of its residents work with fishing and comparably to its population we would say that it has one of the biggest fishing fleets in Greece. Characteristic is what people say, with some exaggeration. That fish boats are more than the residents. Its beaches are really magic. You will meet five consecutive shores and you’ll reach Pori, a circular cove of unbelievable beauty. In the north part of it, is a marine cave. Koufonisi was discovered by tourists just the last decade. It keeps its natural beauties and its traditional charm. There are rooms to let providing a comfortable staying. In the island’s taverns you will taste local recipes and entertain with traditional music. It’s the earthly paradise for those seeking for quiet holidays. Discover him!